While medical professionals in America are among the best in the world, there are exceptions. Bad things can happen while receiving medical care, and medical errors can result in serious injury or death. Definition of Medical Malpractice – when a health care professional is negligent by providing treatment which falls below accepted standards of care in the medical community and causes harm to the patient. Malpractice insurance is considered one of the major expenses of running a medical practice, and there are several cases of doctors’ offices closing because of the high premiums. This has called for caps on medical malpractice case awards, dating back to the Clinton administration. While malpractice lawsuits are considered by some to be frivolous, in reality they help patients recover damages when something goes horribly wrong. Whether or not an incident is considered “below the accepted standard of care in the medical community,” is often the point of contention. 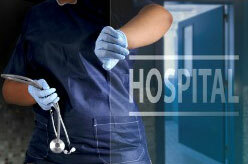 Medical malpractice lawsuits need to establish what the expected standard of care is for a procedure. In a trial, both the plaintiff and the defendant would hire physicians as expert witnesses to testify that the act in question was, in fact, negligent. Physician malpractice is also evaluated by the state medical board. If the medical board censures a doctor for his actions, it will go a long way to substantiating a claim of malpractice. There are statutes of limitations on how long after the incident a patient can file a malpractice claim. Check your state laws carefully to confirm the length of time you have to file a lawsuit. 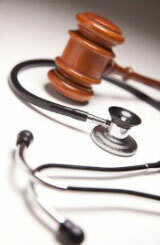 Medical malpractice cases are time consuming and costly. They require expert witnesses, pretrial discovery, depositions, subpoenas, and more. All this can take months, and cost many thousands of dollars. Most medical malpractice cases are taken on contingency. There may be instances where it’s difficult or impossible to find an attorney to take the case, even if it has merits. “Winability” is an important consideration in medical malpractice lawsuits. Many people have questions about how health insurance and malpractice affect each other. Is your health insurance company liable if they refer you to a doctor who commits malpractice? Must you pay back your insurance company if you win a settlement or court award? We answer these and many other questions in this section. If a doctor refuses to provide medical treatment, is that malpractice? There are some instances where treatment denial is legally actionable, but in many cases it’s not. Dentists, orthodontists and endodontists are subject to the same malpractice laws as other doctors. You can learn more about dental malpractice lawsuits here. Lastly, if your injury or illness was caused by a defective medical device, you may want to learn more about medical device product liability. Abnormal labs for years with no follow up? 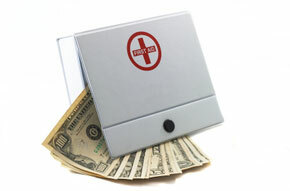 Will I get money from a lawsuit filed by my brother against my mother’s doctor?